Weve all had it happen. You slip on our favorite sneakers and lace-in, only to discover that Ouch! the tongue has slipped, cutting off your circulation. Now you can enjoy total comfort with the Galaxy. The Galaxys sock-like one piece upper is smooth and soft against your skin. 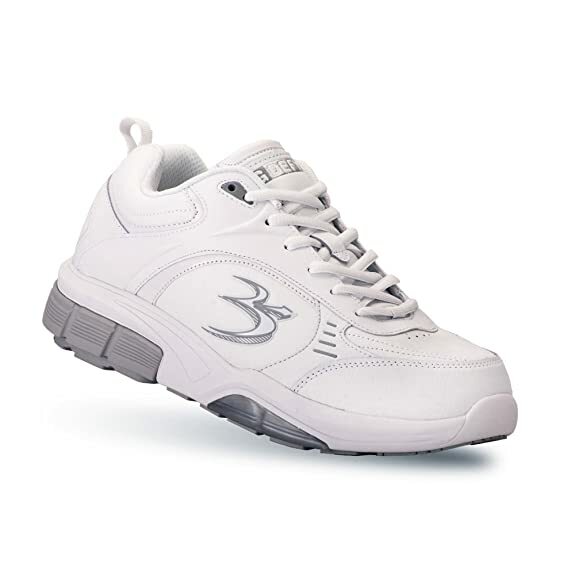 It never twists or binds, so you can enjoy every step in utter comfort. With the Galaxy, comfort isnt just skin deep. The Galaxy utilizes the revolutionary VS2 VersoShock Reverse Trampoline Sole by Gravity Defyer. It absorbs harmful impact that may cause pain in feet, knees, hips and other joints 3 times more effectively than standard footwear. 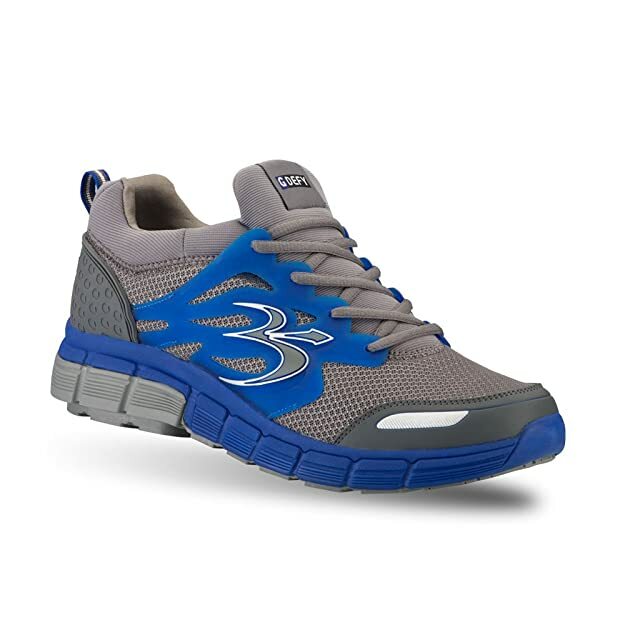 Thats 3 times the shock absorption, to protect your body while standing and walking on hard surfaces like trails and sidewalks and the pavement all around us. Its time to get back in shape without the distractions of your old sneakers. Get out the door faster and enjoy your next walk with the Galaxy. All-terrain, highest performance!! Ultimate athletic, ultra-light, super-stable cross-trainer brings out the best on any surface- grass, asphalt, varnished wood, linoleum, or concrete! Advanced multi-density blended-synthetic cleat supports distributes weight and momentum evenly all-the-time. First choice for golf, basketball, soccer, running, hiking, or power walking. Ideal for activity requiring punched starts, fast pivots, hard turns, anchored feet, or extreme upper-torso movement. 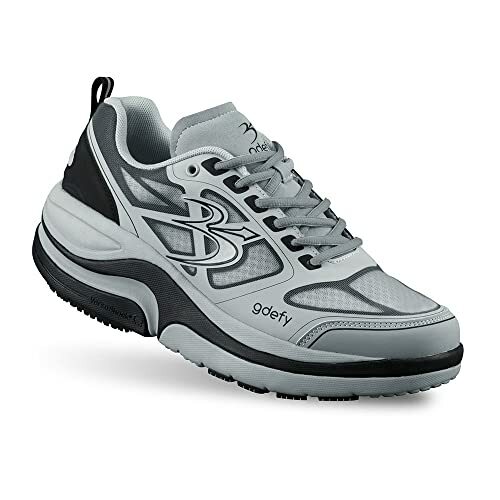 Materials optimized to keep hard-working feet extra cool with comfort-padded interior for aggressive workouts and reinforced heel and toe made to endure tough action while limiting wear. The extra-depth shoe for sensitive feet. 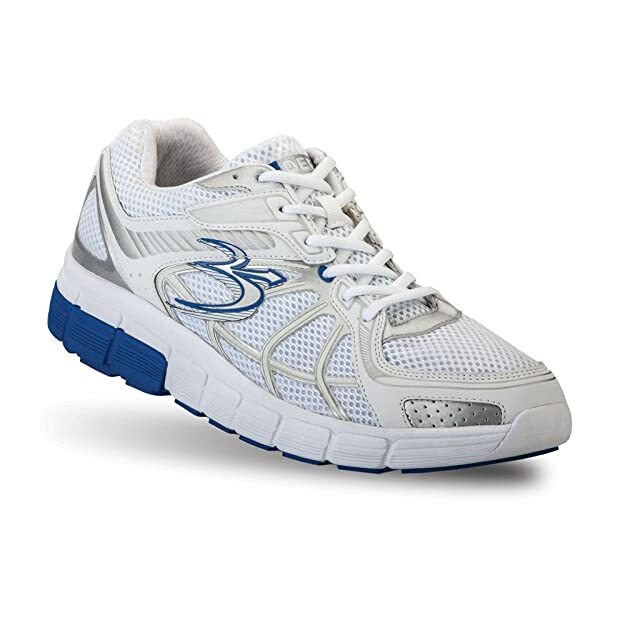 Engineered to accommodate a wide range of foot conditions, this lace up provides comfort enhancements not seen in other shoes. 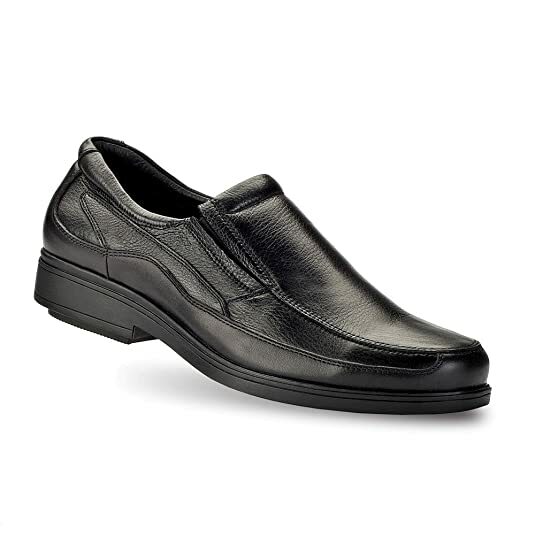 The durable, stable Extora II protects your foot and is made of an easy to clean action leather. Its wide toe box and European fit leave your toes room to wiggle reducing the likelihood of blisters or irritation and it has extra depth to accommodate an orthotic of your choice. But all those great features dont compare to the shock absorbing benefits of our VS2W VersoShock ® sole. The VS2W absorbs harmful shock that may cause pain in your feet, knees even your hips. 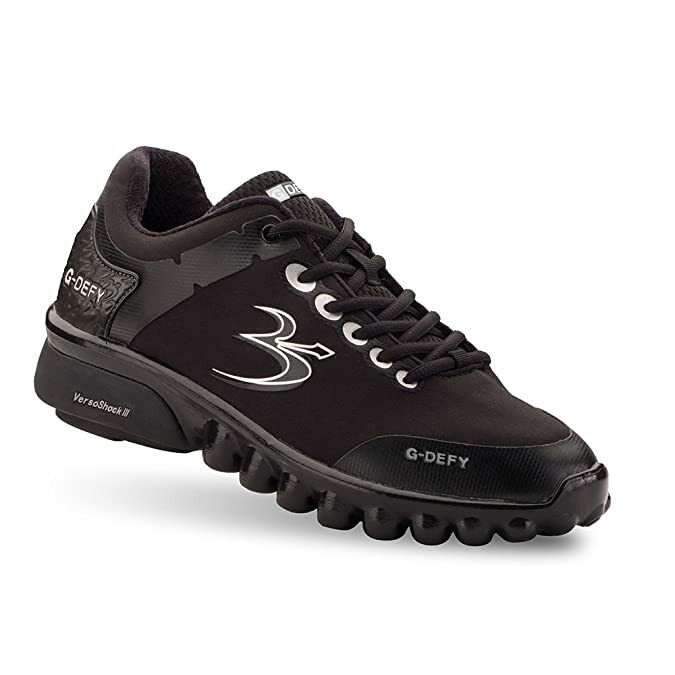 Try the Extora II for your special shoe needs and see what Gravity Defyer ® comfort is really all about. 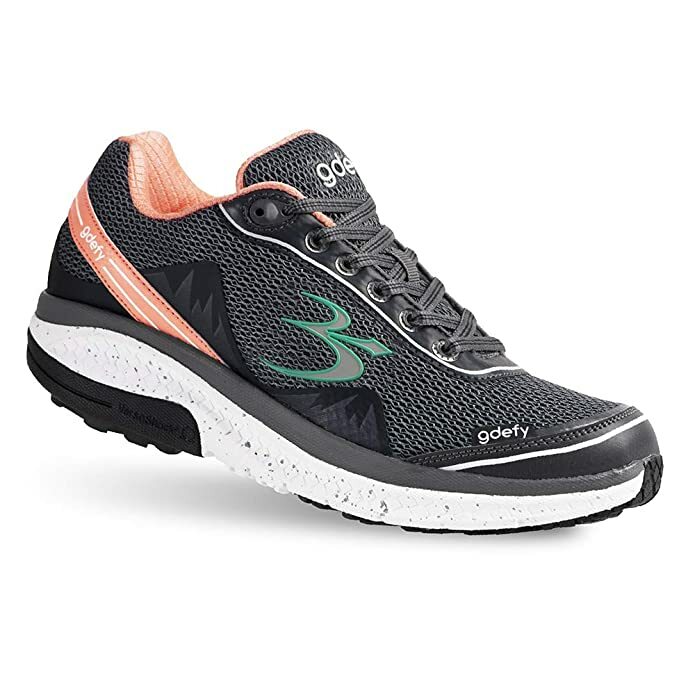 Simply out of this world perfect for trails or a lap around the track the SUPERNOVA is a shoe built for comfort and performance padded collar and tongue reduce chafing at the ankle. Simply out of this world! 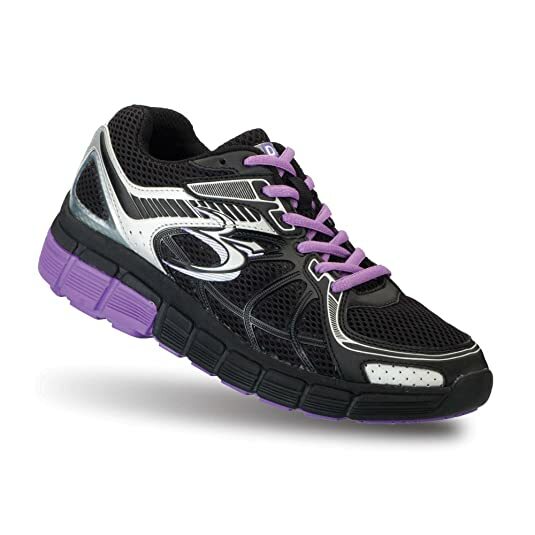 Perfect for trails or a lap around the track, the Super Walk is a shoe built for comfort and performance. 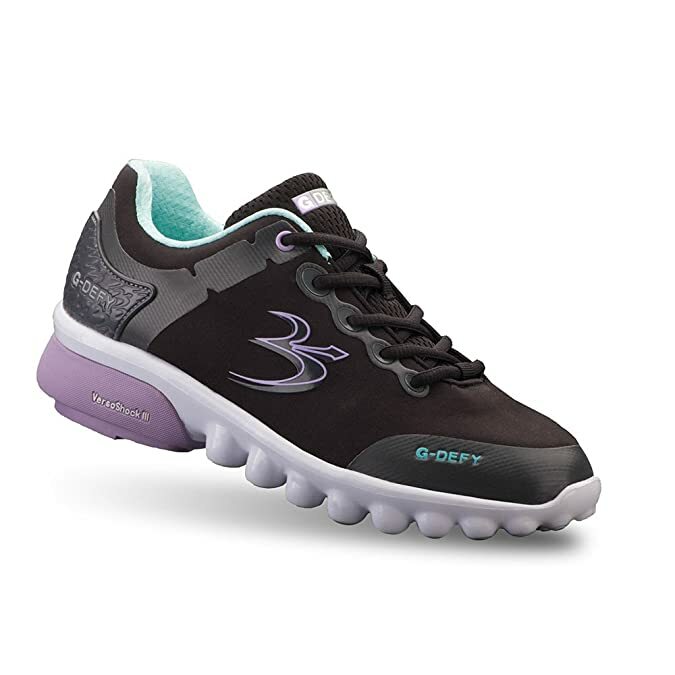 The padded collar and tongue reduce chafing at the ankle and the durable reinforced toe and heel guards reduce scuffing and wear, while our new web-last technology turns the lightweight upper into a rugged exoskeleton, making it a perfectly comfortable walking shoe. The Super Walk keeps you on your feet for fast paced activities while absorbing harmful impact and returning energy to your entire body through our VS-2 VersoShock® Reverse Trampoline sole. 3x the shock absorption. 2x the energy return. Burst on the scene with the Super Walk. Walk easier and feel better with the Iokia shoe guiding your every step. Slip Resistant. Engineered with our lightweight Omega sole featuring our hidden VersoShock Technology and slip resistant VersoGrip, the Iokia keeps you securely grounded while protecting your feet, knees and back by absorbing harmful impact and returning energy to your body. 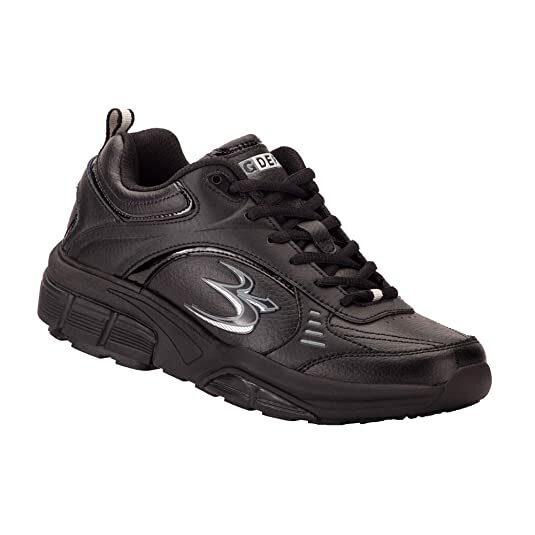 The upper is constructed with durable action leather for wear-and-tear protection and easy maintenance. The soft padded collar and tongue shields from skin irritation for long-lasting comfort and smooth wearability. The Marseilles lustrous finish makes it a versatile shoe for travelers, being both comfortable and attractive enough to wear to the office or with casual attire. 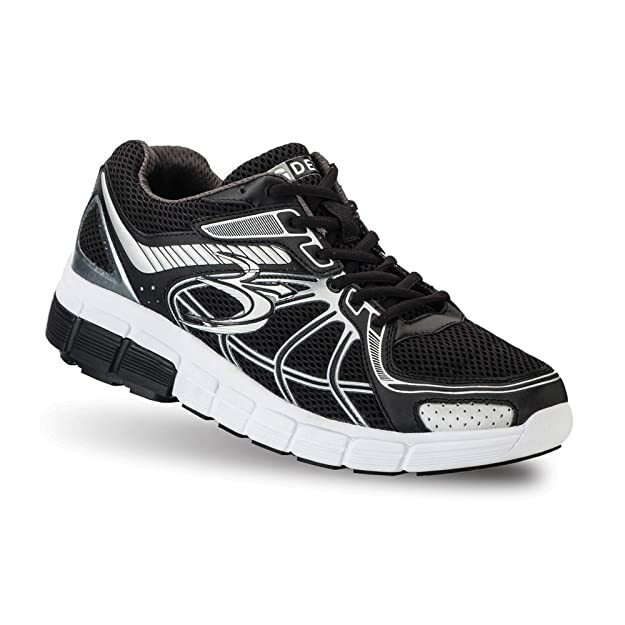 Dont let anything slow you downstay active with the Ion shoe. Engineered with our lightweight Omega sole featuring our hidden VersoShock™ Technology. The Ion keeps you securely on your feet for fast paced activities while absorbing harmful impact and returning energy to your entire body. 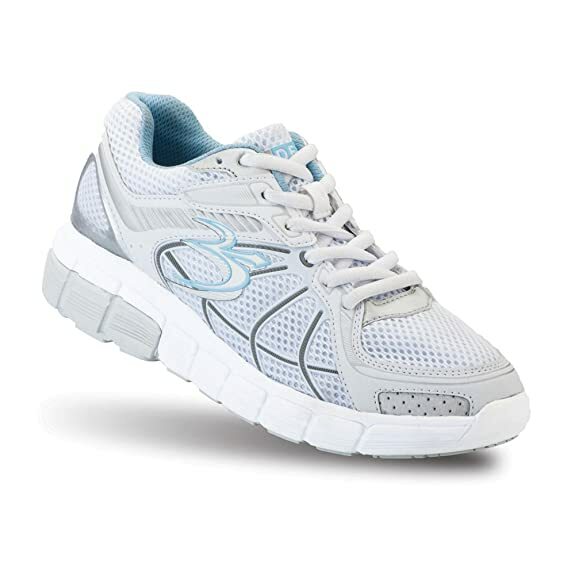 The upper is constructed with durable a mesh material for breathability and flexibility. The soft padded collar and tongue shields from skin irritation for long-lasting comfort. 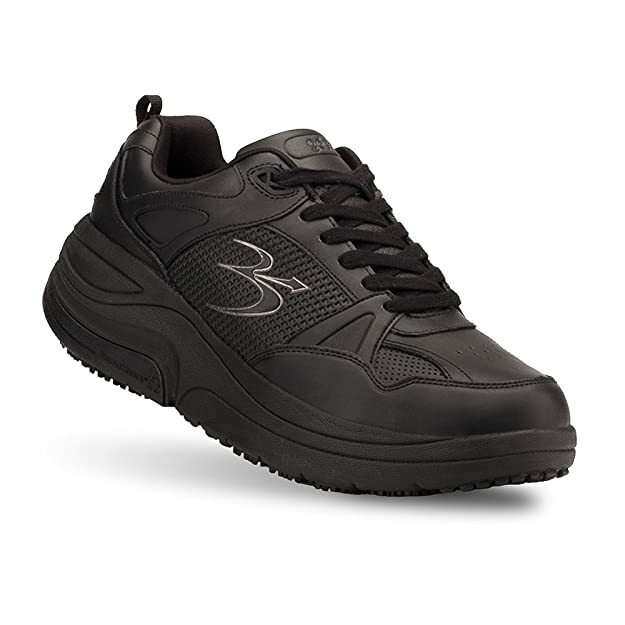 Note: Only the all black Ion is Slip Resistant. The Marseille’s lustrous finish makes it a versatile pain relief shoe for travelers, being both comfortable and attractive enough to wear to the office or with casual attire. This hand-stitched South American Nappa leather shoe is the perfect shoe for a long day, not only because of the look, but the comfort and pain relief you’ll enjoy. The VersoShock® Reverse Trampoline Sole absorbs the harmful impact walking does to your body.